PC gaming has been around for a long time and has slowly gained popularity through the 7th generation. Now with the 8th generation of consoles being out for about 2 years now, it is apparent that the current generation of consoles can not compete with even mid-grade PC hardware in terms of raw performance. I believe, because of this, PC gaming has had a huge spike in popularity. With PC having an edge in terms of performance, being upgradable, no paywall behind online multiplayer, offering more customization and settings for games, as well as having a plethora of very popular inexpensive and free-to-play games available, such as Team Fortress 2, Dota 2, League of Legends, and Counter Strike: Global Offensive, PC has a strong list of reasons to bring people over. This does not go without saying that there are downsides to PC as well. PC is known for occasionally having really bad, near unplayable ports for some multi-platform games, with the recently infamous PC port of Batman: Arkham Knight. While you can avoid wasting your money by not preordering and knowing what companies to keep an eye on, it is still a problem nonetheless. Another problem with PC gaming is the DRM that comes with some of the games, such as online-only DRM for single-player games where players must sign into an online server in order to play an offline game. Sim City and the PC port of Diablo III are infamous for this. However, these downfalls are becoming more and more of a rarity as the popularity of PC gaming grows. It has also become very well known how many big sales there are for PC games on services such as Steam. While I think Steam sales are over-rated, they do offer better sales more often than console games both digitally and physically. Something consoles do have over gaming PCs is simplicity. While some may say the simplicity is fading away, consoles are still far more simple to maintain and play on than gaming PCs. On the same note, PC gaming is becoming more and more simple for people to use. Nowadays, many PC games will scan your hardware to set your game’s graphics settings that will perform. While it is best to set the settings yourself, it is a nice touch for the not so tech-savvy PC gamers out there. There is a problem with simplicity though, which is the lack of customization. To combat this, many PC games will have a set of simple, basic settings and a set of more complex, advanced settings. There are more things you can customize outside of game settings as well. One of the biggest perks of PC gaming is mods. PC mods can breathe new life into older games, the most famous of this being The Elder Scrolls V: Skyrim. Mods can add new characters, new areas and quests, as well as dramatically improving or even altering the looks and graphics of the game. While mods are currently exclusive to PC right now, Xbox One is going to be receiving full support for PC mods in the upcoming game, Fallout 4. 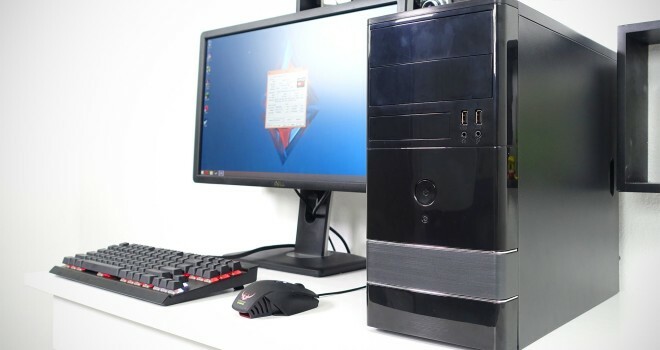 This is yet another recent bridge between consoles and gaming PCs. Both are becoming so much more simpler, which I also think incites more to bring people over to PC gaming. The biggest problem with modern consoles isn’t the lack of horsepower under the hood of the system, but rather, the lack of AAA exclusives. Exclusives are what gives a console an identity, and if you are lacking exclusives, what is the incentive to buy that hardware? It is an ongoing joke about how the Xbox One and the PS4 have no games. This, of course, is an exaggeration and refers to the exclusives offered for each platform. Potential consumers see the lack of exclusive content as well as seeing the superior graphics, resolution, upgradability, and customization that PC offers and see a better product.